For about 3 months, I tried 3 different methods: focal sampling, all-occurrence sampling and video filming of vocalization. Focal sampling was the main method I used throughout the whole research period there. 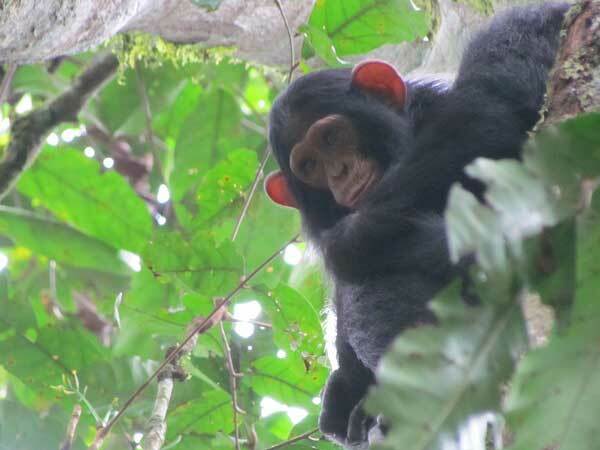 As a parallel research to my formal captive research (which was funded by ITP-HOPE 2011), I planned to study female sociality based on their continuous focal sampling data. Kalinzu forest is a very thick and wide forest, and sometimes it was not possible to do a continuous focal sampling, which made me try another sampling method: an all-occurrence sampling. I tried an all-occurrence sampling method, in order to know if it is an applicable method there, and it seems to work. Lastly, when there was a big party (more than a few chimpanzees together), I tried to video film their vocalization activities. 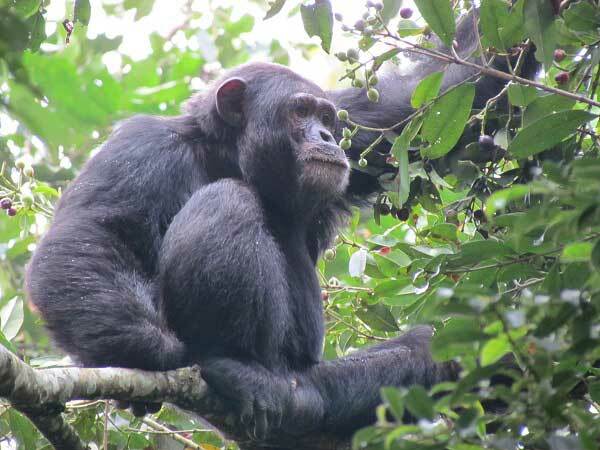 In the forest, chimpanzees are involved in active vocalization communication. There are various types of calls for specific contexts; they use different food calls, for example. So, I tried to record the call types with the context (party type, individuals of the party, tree and food type, and so on), so that I could see if there is a correlation. Based on those different types of data, I am working on figuring out what kinds of hypotheses and questions could be answered.